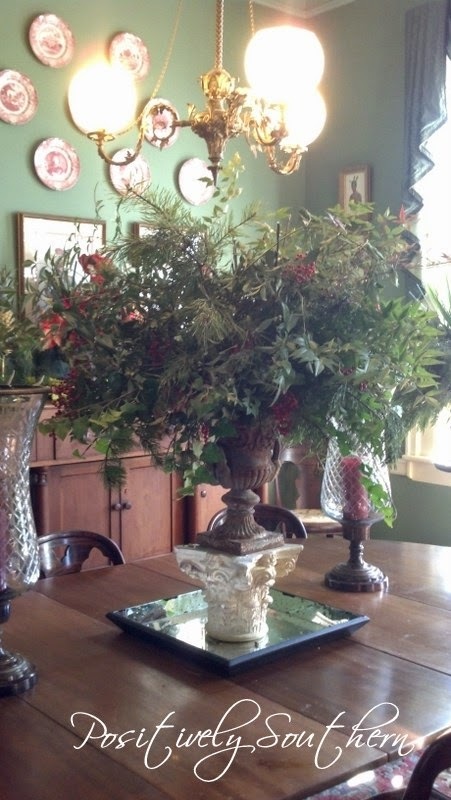 The loose design of the arrangement gives a less formal feel to the room. There are identical plant stands in front of either window, I literally stopped in my tracks when I saw them. 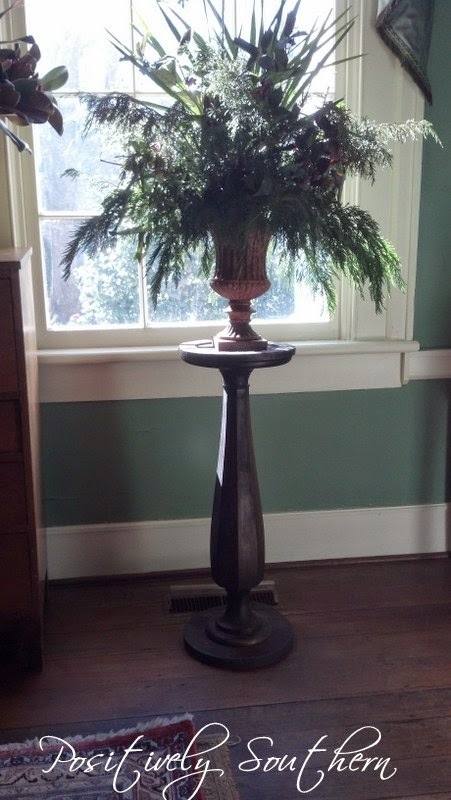 Rest assured I will be acquiring a plant stand for my dining room by the end of the week! 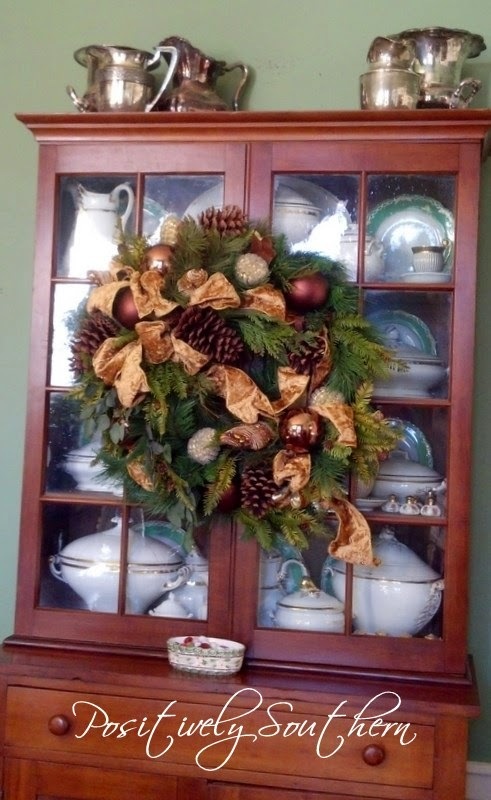 I adore how they attached a wreath on the front of the china cabinet, truly something unexpected! Apologies at my shaky looking picture, I took all these with my phone and clearly I wasn't too steady at this point. 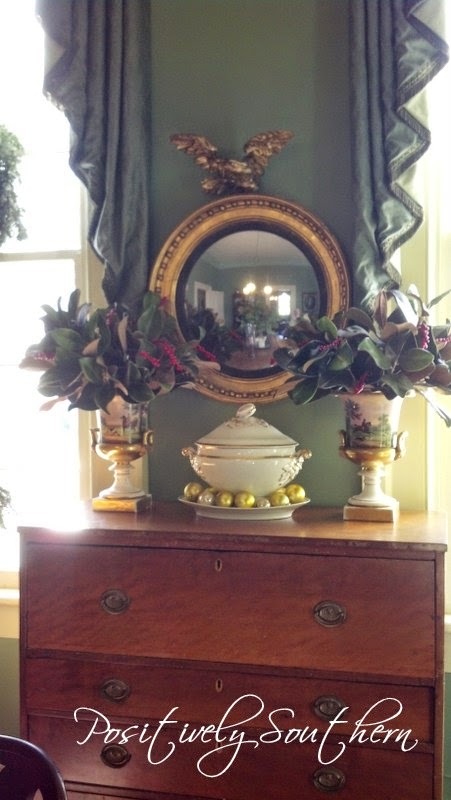 For whatever reason I focused on the wall vignette as opposed to the piece of furniture that was beneath. 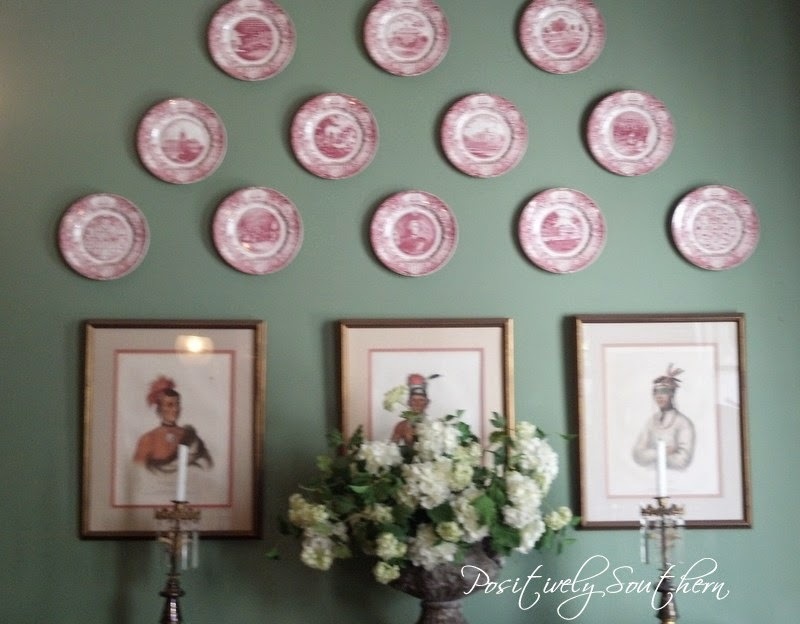 Don't you just love how the red transferware was hung? 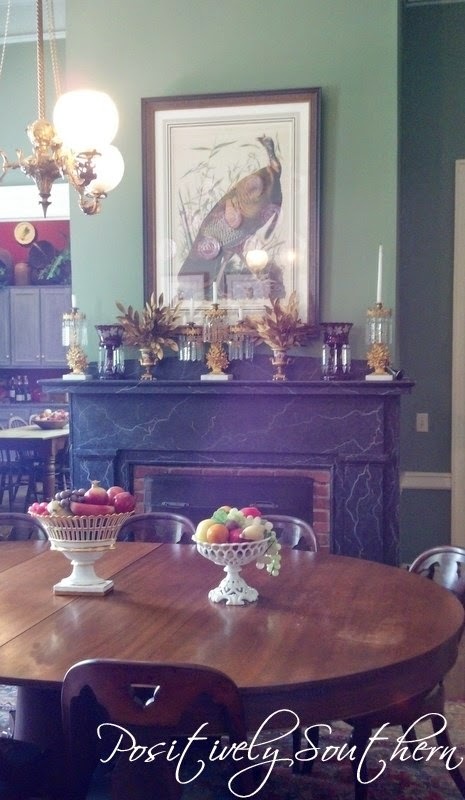 Beautiful dining room....I am getting a serious crush on the urn as a centerpiece...thats my favorite!